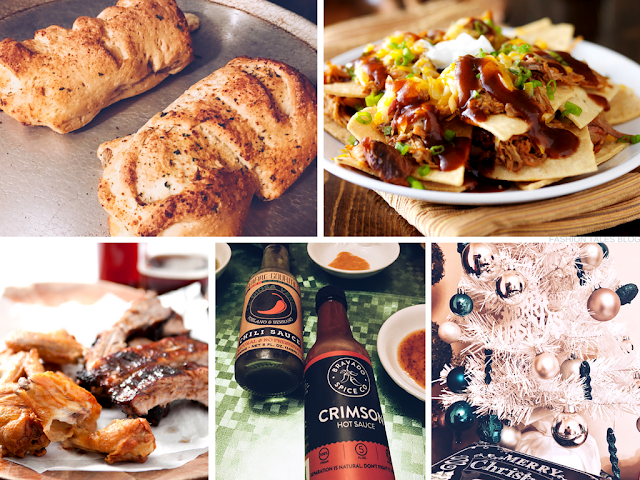 'Tis the season for a little sweetness, and even some spicy holiday fun! 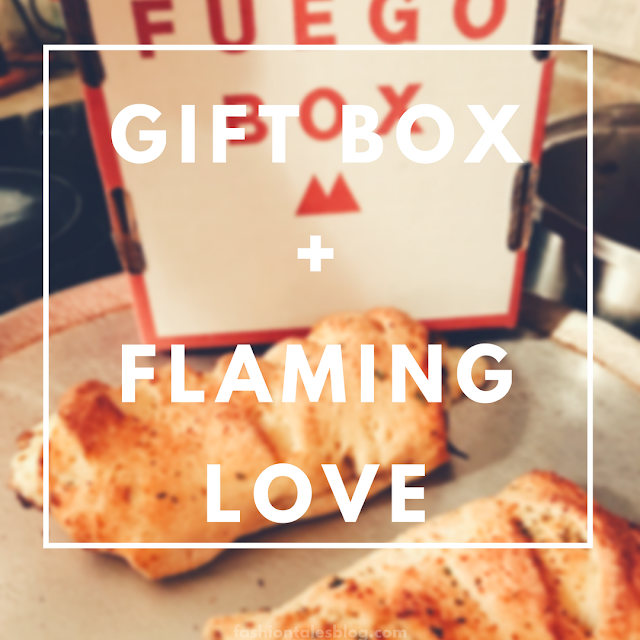 I've teamed up with Fuego Box again to bring you more global flavours for pretty much every style of culinary palette. Just in case you haven't been in the loop from my "haute" intro here, or our fiery summer gathering (Yes, I do suggest you go read them, now), I wanted to give you a glimpse of six more hot sauces that are entirely different from all the rest. This would also make a great holiday subscription. 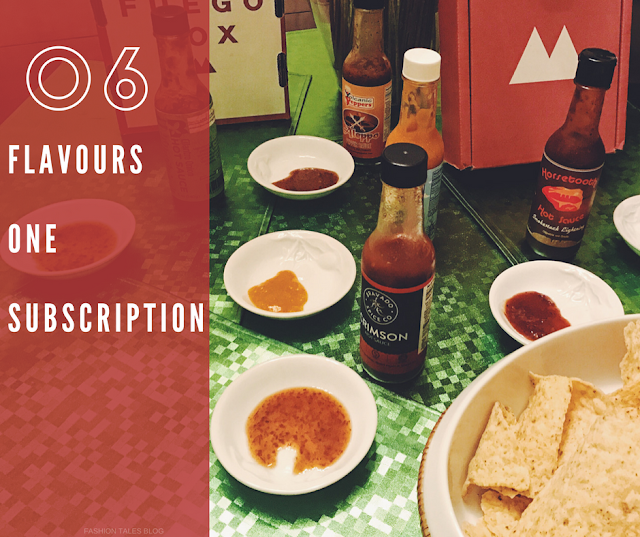 These particular boxes included bottles from mild to moderate heat, and certainly was the favourite for some of our not-so-spicy enthusiasts. Don't fret, there was still plenty of heat in other flavours with a good kick in both quality in flavour and uniqueness to make you want more by the spoonful if you love epicurean heat. Butterly Bakery: Cilantro Onion - Vermont-grown peppers are used for this cilantro based hot sauce, which tastes a cross between your favourite tamales and a punchy salsa. It's also not as hot as one would think. I loved the taste and could see using this in a variety of dishes. Delicious Pairing: We loved this on Tacos, enchiladas, mainly use this on all of your favourite Mexican dishes and it would be fine. I also liked it in fish, namely Tilapia with mango salsa. I baked it on top of the fish, and it was glorious. Volcanic Peppers: Aleppo Pepper Sauce - This was the only one of the six hot sauces that weren't my favourite. However, others liked it on hamburger options, and I used it on sautéed mushrooms which were okay. Suggested use is also on gyros, steak or salmon. Delicious Pairing: I may take the suggestion to mix it with mayo or use on salmon if I make something. It is bold in flavour but probably best suited for meat (hamburgers). It was just far too peppery for me, full of peppered flavour, so the name is spot on, obviously. Bravado Spice: Crimson Hot Sauce - This award-winning hot sauce is a daring blend of red jalapeno peppers, garlic, and Chile de árbol. Delicious Pairing: I liked it on spaghetti, soba noodles, scrambled eggs, and homemade cocktails. It is suggested to be used on pho, and fried chicken as well. For cooking: think about spicing up your one pot chilli, late night curry, Bloody Mary, breakfast sandwich or Shakshouka. Horsetooth: "Smokestack Lightning" - Crafted and bottled from a family-owned company in Fort Collins, Colorado. The taste has a good kick with deep rich flavours. Delicious Pairing: Likely best on grilled or meat options, steak, pork, bbq, etc. I will use it in a pot of chilli for both vegetarians and meat lovers. This full-bodied fiery sauce made from garlic, chipotle peppers and cayenne has a soft kick of heat with a smoky pungency that sneaks up on you with a warmth of flavour. Red Robot: "Corn to be Wild" - It's all in the name! This was one of our favourites—I had no idea that a hot sauce made from corn would be so delicious! This was great on any Mexican dish as many of these in this batch were. The guys loved them on wings, so I imagine a game night with spicy wings, pizza, and roasted veggies would be the perfect pairing for this hot sauce. This specific sauce was mild enough for someone that just wants a hint of spice, yet it's very flavourful with the creaminess of whole kernel corn. It's both unique and brilliantly blended. 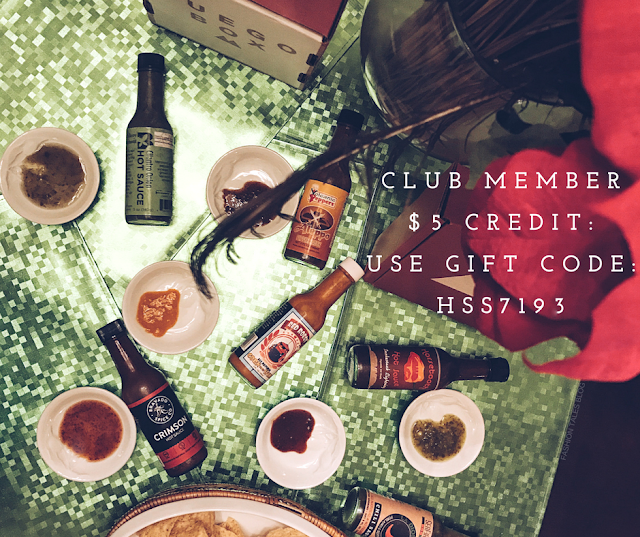 Seafire Gourmet (SG): "La Diosa Verde" - SG's brand of hot sauce was founded by Seattle-based father-stepson duo with a fervent love for great tasting fiery foods. La Diosa Verde is made from fresh lime juice, serrano and poblano chiles, cilantro, and shallots, and tastes like a green salsa kicked up a notch, and more robust in taste than your typical restaurants. Delicious Pairing: SG tastes great scrambled eggs, avocado toast, nachos, and baked fish. Who would you gift this box to for the holidays? What is your favourite food or dish that you add spice/heat to? The goods: Fuego Box Hot Sauces-c/o Fuego Box. All opinions are my own and honestly expressed. Delicious, darling! I love spicy foods! I know friends that live spicy food this its perfect for them.